There is just a sloppy wealth of great stuff on TV these days. If I were still a single 20-something, I would have watched all of the good stuff by now. As it is, I'll settle for getting to what I can whenever. Red Oaks is an absolutely lovable show that takes place mostly on the grounds of Red Oaks Country Club in the 1980s. I like the New York Times' description of the show as a mashup continuation of "John Hughes, Harold Ramis and the young Richard Linklater." Hard not to watch something like that. The mix of tennis and ridiculous 80s yuppies and hairdos make it just a little bit too much like my own youth, in which I actually spent quite a bit of time at a country club playing tennis. So I can relate. But the show should be entertaining, if a tad offbeat, even if you can't relate. Not to mention, Paul Reiser is great as a salty old tennis player who looks nothing like the Mad About You role that made him famous years ago. With just a few episodes to watch from the first season, I give it a solid 4 out of 5 stars. I'm excited that season 2 is coming soon. 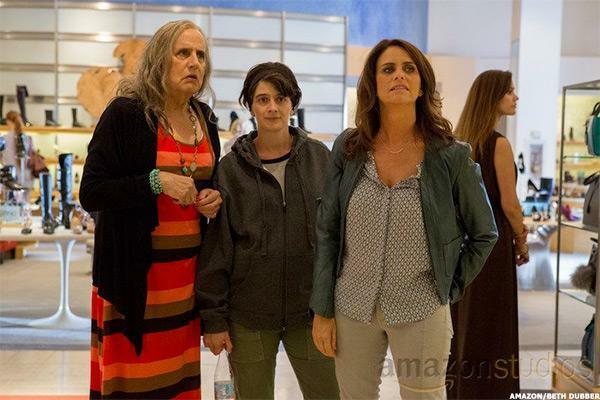 Transparent really hooked me in season one. Arrested Development's Jeffrey Tambor is perhaps the only likable character as Maura, who transitions into a female throughout the first season. He and the show won Golden Globes, but the winnings have tailed off a bit for season two. It makes sense, because the freshness of the idea, the fact that it's a hot and important topic, and a great theme song (check out the Song Exploder podcast episode about it) made for a powerful cocktail. I too really liked season one, but a few shows into season two, the luster is rubbing off. Maura and her family are all very unlikeable, kind of like the later seasons of Girls, in which the main characters all go from voices-of-a-generation to annoying, narcissistic babies. Season one was 4.5 out of 5 stars, but season two is starting off as 3 out of 5 stars. And the newest, and possibly best, entry in my Amazon watching is Mozart in the Jungle. This seemed like it would be intriguing to watch when I read positive reviews a while back, especially because it's about music (I'm hoping HBO's Vinyl can get better after a slow pilot) and because of Gael García Bernal and Malcolm McDowell can certainly do no wrong as the maestros of New York's orchestra. The ensemble piece has just won Golden Globes for best comedy and best actor (Bernal), so I have high hopes with a full season-and-a-hlf to still binge. Easily a 4.5 out of 5 stars so far.